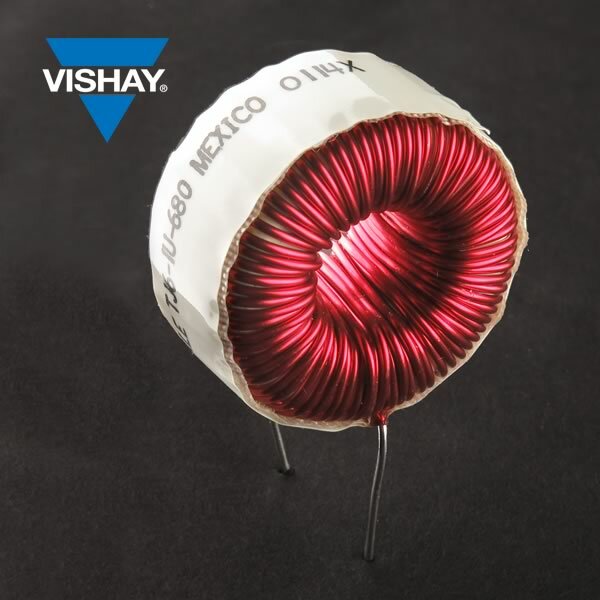 Power Toroid type XJ6-681 by Vishay/DALE is rated 680uH @ 4.4Amp. Resistance is 0.129Ω. Size about 1.38" diameter x 0.83". New - Retails for $5.